I’ve had a slight cold for the last couple of days which, while it hasn’t been too horrible, has been a great excuse to park myself on the sofa and knit. 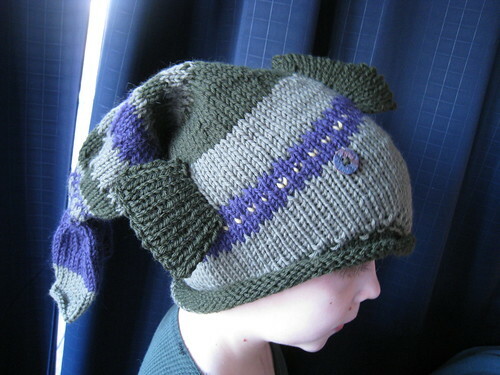 I cast this hat on Sunday afternoon and finished it last night. 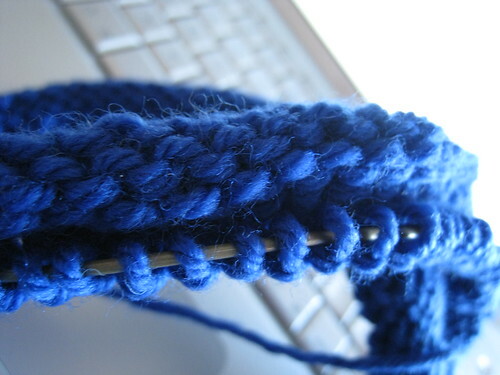 This was a great knit, fast and fun, a treat, especially after the l-o-n-g s-l-o-g of Hippy Dippy. 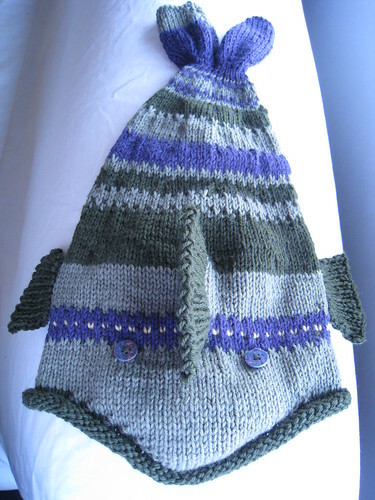 I’m still somewhat sick, luckily, because I’ve promised a fish hat to E4. That is way too cute! I have to make one for my niece. What book is it out of? or where did you get the pattern.